But I got through it and the next morning the sun came out. I had never been more grateful for the sun and I now could look at my previous night with a complete new lens, with a profound appreciation for the darkness and the cold. Solo hiking or backpacking in a new place can be a direct parallel to challenges in life- constantly learning, finding new paths and adapting to new situations. If you want to learn how to tackle all of life’s challenges- I couldn’t think of a better way than to solo hike or backpack. Although I think this post applies to all people, I’m especially highlighting women for a few reasons. From a young age girls are overprotected and taught to think “ what if something bad happens?” This type of thinking keeps us in repeated patterns and limits our vast amount of potential. We are hard wired to nurture, please others and do what is expected of us which can inhibit our potential if we aren’t careful. 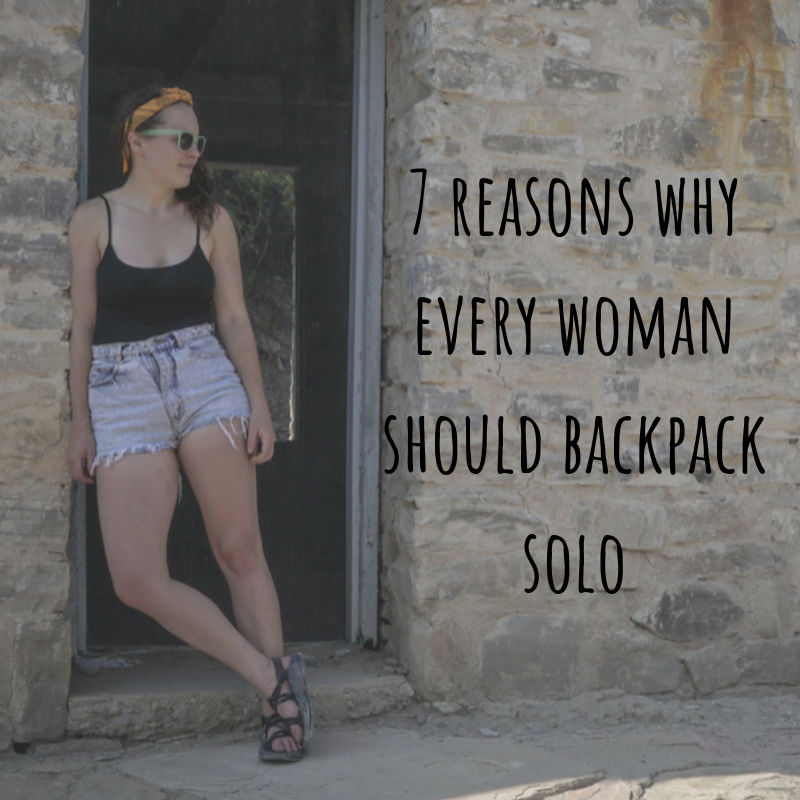 Here are a few really great reasons to start planning a solo backpacking or hiking experience. Perhaps one of the most beautiful things about solo hiking is the fact that you begin to understand what elements of the outdoors are important to you. Some people like more adventurous hikes, some enjoy more reflective hikes while stopping to read and write, some people might just want to pitch a tent, cook some food by the campfire and hang with their dogs. Whatever your purpose for getting outside is, there is no wrong one. Too often people associate hiking with this extreme sense of adventure and this is not the case. Listen to your needs and follow accordingly. Why can men get dirty and we can’t? I don’t care what anyone says, there is something exhilarating about the dirt underneath your fingernails, the sweat on your brow at the top of a mountain and the scent of a campfire in your hair. Showering everyday is extremely overrated and actually bad for your skin and hair. Enjoy those natural oils ladies! When was the last time you were ever truly alone for a 24 hour period? Even a 12 hour period? Even if you live alone it’s probably hard to fill that amount of time without communication with anyone. withough someone asking you to do something. without someone influencing your decisions and desires. Being alone for a period of time like this really allows you to take a BREAK from societal influence. Yes. That’s right. It’s really freaking important to get uncomfortable. Guys, as highly evolved as we are, we are still animals. Our bodies still need the sun, the wind, the dirt and the grit in all our pores and all over our skin. If you want a great resource to check out about the science behind the outdoors click the link here. In solo hiking you can’t rely on others and you must rely on your surroundings to make decisions. You will find very quickly just how amazing your power of intuition are. After all, we are animals and we very often neglect our instincts in everyday life. Relying on your instincts while hiking solo will allow you to trust your decisions betters in everyday life as well. You will be better equipped to handle those tough conversations at work or that feeling around your SO that you know needs to be addressed. 7. And most importantly solo hike so you can connect to the rhythms of life- the unique feminine spirit in all of nature. You have one-of-a-kind intuitive, wise, creative juices thriving in your body. Tapping into how you see the life moving around you, to how the plants moves through the season, allows you to come back to that special, wild fire within you. Let yourself burn bright by going out on a hike or walk in the woods.